1) The top 5 best selfies (determined by the most likes & shares combined) using the #KartWeek hashtag AND tagging World Karting Association on FB will get a FREE custom REV Branding WKA JACKET! 3) You can take selfies of you prepping for #KartWeek, racing at KartWeek or something else KartWeek related that others will enjoy and allow you to receive many likes and shares. You can use the custom selfie frame provided by WKA or not---your choice. 5) The custom jackets will be at KartWeek and you will be able to take them home from Daytona International Speedway. 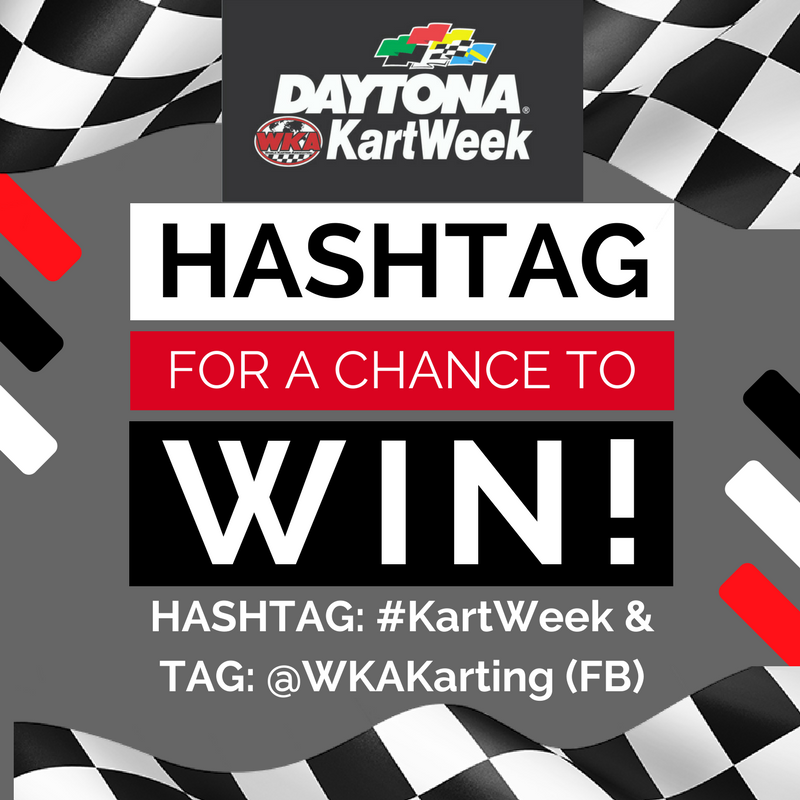 Let's crank up the noise and excitement for #KARTWEEK on social media!